A sharp increase in reports of domestic violence incidents and victims in Spain last year appears to be the result of more women being encouraged to come forward by public-awareness campaigns and increasingly confident they will receive fairer treatment and justice in Spanish courts. The 2017 report on gender violence issued by the government’s General Council of the Judiciary (CGPJ) shows that law enforcement authorities last year received 166,620 complaints of gender violence, defined in Spain as violence at the hands of a current or former intimate partner, representing a 16.4 percent increase over 2016. At the same time, the number of women victims of domestic violence rose by 17.7 percent year-on-year to 158,217 — the highest annual number ever recorded by the CGPJ. In presenting the report, Angeles Carmona, president of the CGPJ’s Observatorio contra la Violencia Doméstica y de Género (Domestic and Gender Violence Monitoring Agency), said that despite the increases there is a positive take-away from the 2017 report in that “more and more women are daring to denounce” their aggressors and are demonstrating increased trust in Spanish law enforcement agencies and the courts. 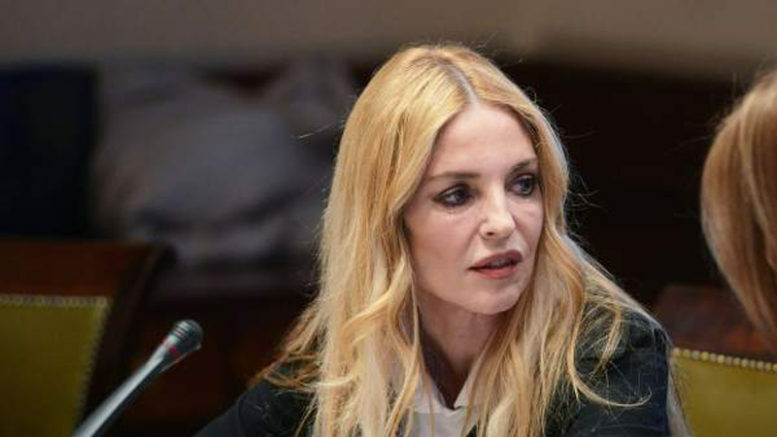 According to Carmona, many reports of gender violence ultimately fail in the courts because women opt not to testify against their partners or ex-partners, an option available under Spanish legislation. But Carmona emphasized that because most cases occur in the privacy of the home, with no witnesses other than the woman and her agressor, “the statement of the victim is very important” to the successful prosection of the case. Last year, following a massive public-awareness campaign about gender violence, more women filing complaints decided to press ahead and not back away from giving testimony during court proceedings, Carmona noted. According to the CGPJ report, the number of women availing themselves of the option to withold their testimony fell 2 percent, from 12 percent in 2016 to 10 percent last year. Nearly 70 percent of women filing complaints in 2017 were Spaniards, while 30 percent were foreign-born migrants. The national average of women reporting domestic abuse in Spain in 2017 was 66.6 per 10,000 women. The highest rates of reports occurred in the Balearic Islands (95.6), Murcia (87.8), Valencia (85.3) and the Canary Islands (84.5), with the lowest rates in Castilla-Leon and Galicia, each of which registered 42 incidents per 10,000 women. According to the recently released Women, Peace & Security Index 2017/2018 from Georgetown University, nearly a third (30.3 percent) of women worldwide say they have been the victim of physical or sexual violence at the hands of an intimate partner at some time in their lives. Women in Spain ranked far better than the global 30.3 percent average in the Georgetown index, with 13 percent saying they’d experienced physical or sexual violence at the hands of an intimate partner. That figure places Spain behind index leader Singapore (6.1%), as well as Canada (6.4%) and Switzerland (10%) — but well ahead of the average 22 percent for developed countries, notably better than the percentage of women who say they’ve been victims of domestic violence in the Netherlands (25%), France (26%), Sweden (28%), the UK (29%) or the United States (36.6%).